This year, it all happened very quickly. The harvest began at the end of August, with quality and quantity much in evidence. After a series of vintages that have suffered the whims of the weather – the 2016 in particular – the Bourgogne winegrowing region has returned to cruising speed in terms of production, while averages across the rest of France are down. On 23 August, the first grapes were picked in the south of the region, to be used in the production of Crémant de Bourgogne. This was around two weeks earlier than in a typical year. Harvesting in the rest of the region followed quickly, with more southerly plots being picked just a few days earlier than those in more northerly vineyards. Whether the grapes were to be used in still or sparkling wines was irrelevant – only the level of maturity of the fruit determined the date of picking. The only slight damper was the springtime frost that hit the Châtillonnais and part of the Chablis and the Mâcon regions, which left its mark on those estates most affected, and which had already been hit by the frost in 2016. The good yields this year were a huge relief for many, but quality was also there in spades, which is, of course, essential to the Bourgogne winegrowing region. The Santenay appellation, to the southern end of the Côte de Beaune, produces mainly red wines (around 80% of total wines produced), along with a limited quantity of white wine. The wines of the Santenay appellation are produced in two communes: Santenay and Remigny. Despite being one of the region’s lesser-known wines, the Santenay appellation is nonetheless home to 12 Premier Crus. The vines enjoy perfect positioning, facing east and south. For a longtime overshadowed by its prestigious neighbors, for reasons linked to its history, this appellation is now establishing its rightful place in the range of Bourgogne wines. The red wines of the Santenay appellation often boast aromas of black cherry, blueberry, poppy, or violet. Powerful yet elegant, the attack is intense and the finish reveals great sophistication. They make a wonderful partnership with veal or braised beef, or oriental crispy or caramelized duck dishes. White Santenays are lively and vigorous, usually offering notes of fern and hazelnut. They are fabulous with poultry in cream sauce and goat cheeses. The harvest is now finished in the Bourgogne winegrowing region. Local winemakers are expecting 2017 to be a generous vintage, which should allow some to consolidate their market share, and others to reconquer distribution circuits that have been neglected due to lack of wine. After the historically low 2016 harvest, (down 18% on 2015, with 1.223 million hectoliters), wine leaving estates and transaction volumes, especially for the most affected appellations, suffered significant deficits. On the other hand, those appellations that escaped any climatic damage continued to grow on export markets (United States, United Kingdom, Canada) and on French distribution circuits. Thanks to the 2014 and 2015 harvests, the Bourgogne wine region has risen above the critical threshold of eight months of stock on estates. Initial estimates are close to 10 months for the 2016-2017 campaign. But those in the industry remain prudent, since the Bourgogne wine region still has to deal with the 2016 harvest that was lower than the five-year average until the 2017 vintage comes to market. Overall, for the first seven months of 2017, Bourgogne wine exports were down 2% by volume (equivalent to a drop of 997,700 bottles), but were up 8.3% in terms of revenue (up 37.9 million euros). 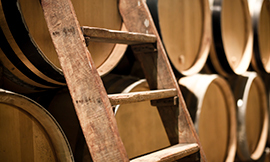 The leading markets of North America, Europe, and Asia all recorded good performance in terms of revenue, allowing the Bourgogne wine region to set this new record. Change in export volumes reflected the 2016 harvest, insofar as there were wide variations by appellation. Appearing frequently on French tables (present in 75% of the restaurants visited, with 8.2 references on average per restaurant surveyed), and in wine stores (91% stocking at least one reference of Bourgogne wines), Bourgogne wines are doing equally well on the retail circuit. Over the first six months of 2017, sales of Bourgogne still wines in French supermarkets returned to growth, both in terms of volume (up 3.3%, an increase of 353,000 bottles over the previous period), and revenue (up 3.4%). Some 11.17 million bottles were sold (excluding drive-thru, discount, and convenience stores), for record revenue of 85.9 million euros. Come and enjoy four special events involving Bourgogne wines! For many years now, Japan has been in third place in terms of export markets for Bourgogne wines. And to celebrate this long relationship between the Japanese wine trade and Bourgogne wine producers, the BIVB has decided to host “Bourgogne Week” with four events. Destined for tastemakers and members of the press corps, these events will allow you to discover or rediscover the different faces of Bourgogne wines. This first edition will bring together tastemakers such as journalists and bloggers at the Happo-en, with the theme of: “The Climats of the Bourgogne region and Japanese calligraphy”. By invitation only. 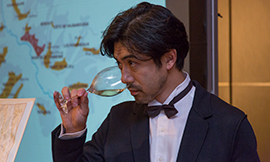 - Chablis wines press conference: An exclusive opportunity for the Japanese press to meet winemaker and spokesperson Louis Moreau for a tasting of Chablis wines. Discussions will be centered around the importance of the Japanese market for the 2017 vintage of Chablis wines and all the latest news from the Chablis winegrowing region. A trade show with an international dimension to enjoy from 12-14 February 2018. The VinoVision trade show dedicated to cool-climate wines returns to Paris for a second edition. This easy-to-access event is the perfect opportunity to discover some unusual wines and indulge in some intensive networking in a single location. Some 500 exhibitors and more than 5,000 French and international specialists are expected, from different distribution circuits in the wine industry, including import/export, catering suppliers (a quarter of whom are concentrated in the Paris region), winestore owners, large retailers, and online stores. 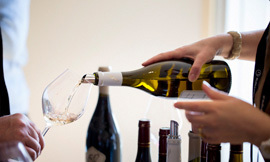 The event includes a tasting area called “Tasting Avenue”, dedicated to still wines and crémant de Bourgogne, designed to facilitate connections between visitors and exhibitors. There is also a Masterclass space offering a series of tastings and presentations on a wide range of themes, that will focus on highlighting the specifics of cool-climate wines and providing a response to changing drinking habits. On 13 & 14 November, Melbourne will be hosting two masterclasses and a major tasting to discover the appellations of the Bourgogne winegrowing region. 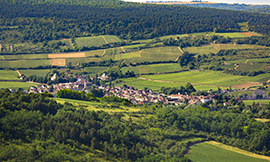 With around 100 appellations and a reputation that resonates around the world, the Bourgogne region offers a wide range of Village appellations that are perhaps less well-known, but which nonetheless demonstrate all the characteristics of the great Bourgogne wines: Elegance, sophistication, and complexity. On 13 & 14 November in Melbourne, the BIVB invites you to participate in the first masterclasses and tastings on to these appellations. 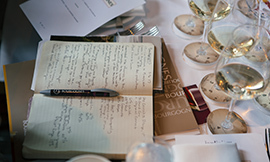 Dedicated to sommeliers, winestore owners, restaurateurs, journalists, importers, and bloggers, these events will allow you to discover all the diversity of Bourgogne wines in an extremely convivial atmosphere. Are you looking to enjoy the Bourgogne wines experience? Then get in touch with Laetitia Godefroy at laetitia.godefroy@sopexa.com to sign up right now! * GERMANY – 26 September: Masterclass in Cologne on “The Climats of Bourgogne” from Official Educator Patricia Chalumeau. * HONG KONG – 17 October: Masterclass on “The Climats of Chablis Premier Cru” from Official Educator Ivy Ng. The next “Rendezvous with Bourgogne Wines” show will screen on 6 December with the theme of “Crémant de Bourgogne”, in Belgium, Canada, Germany, Hong Kong, UK, Taiwan, South Korea, USA, and Ireland.